Stress and anxiety do not happen overnight. The never-ending workload and constant worries build up silently. Before you knew it, you’re freaking out at the tiniest issues. And when you’re introduced to essential oils, you could be skeptical of how a tiny bottle of oil could help you to alleviate anxiety. Essential oils are highly concentrated natural oils that are extracted from plants and herbs. Since ancient civilization, essential oils have been used in different cultures for various purposes. The ancient people of India have used essential oils in Ayurvedic practice to promote healing. The best way to extract essential oils from the plants is through the steam distillation process. This process is completely natural and preserves the therapeutic effect of the essential oil. 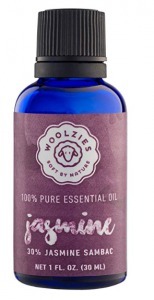 Essential oils are often aromatic and relaxing as we inhale the scent. However, the therapeutic benefits are not caused by the scent, but rather the natural compound that exists in the oil. Nevertheless, the pleasant fragrance and natural healing properties made essential oil a popular remedy for stress and anxiety. While each essential oils have their own health benefits, not all are equally effective for stress and anxiety. Some essential oils can positively affect the nervous system and brain chemicals. This can help you feel calmer and less restless. In a research conducted by Asia University in Taiwan, 54 elementary school teachers were exposed to Bergamot essential oil for 10 minutes. This results in the nervous system of the teachers being brought to a balanced state. It is a tightly controlled experiment that strongly concludes the benefits of essential oil on anxiety. In some countries, students face extreme stress level in their quest for academic excellence. A study conducted in Korea applied aromatherapy in a sample of 36 students. The study concludes on the positive influence of essential oil in reducing stress level and further suggest aromatherapy for nursing intervention for high schools. There are a few popular methods to use essential oil to alleviate stress and anxiety. And it’s all down to your personal preference. Using a diffuser is a common approach to aromatherapy. A diffuser disperses droplets of diluted essential oil to the air. As you inhale the essential oil droplets, the healing molecules will be absorbed into your brain through receptors in the olfactory region. Besides that, the oil particles are also absorbed into your bloodstream and enable your body to respond positively to stress and anxiety. When choosing a diffuser, it is important to get one that doesn’t involve heat when dispersing the droplets. This is because the therapeutic properties may be destroyed when exposed to heat. Instead, choose ultrasonic or nebulizer diffusers for efficient operations. However, direct inhalation is not recommended for long periods. The high potency of the oil inhaled can lead to dizziness, nausea or vertigo. The thought of soaking yourself in a relaxing essential oil bath can be endearing. But there are procedures that you must adhere to when using essential oils in your bath. Use salts or emulsifiers like milk or sesame oil to disperse the essential oil in the water. This helps to prevent direct contact with a large quantity of the oil on your skin, which can lead to dermal toxicity. Avoid certain oils which may lead to irritation and other side effects when exposed to your skin i.e: cinnamon oil, thyme oil, oregano oil, bergamot oil and lemongrass oil. Use these milder oils like lavender, geranium oil, clary sage oil, frankincense oil, eucalyptus oil, rose oil, and sandalwood oil. Spending some time in an aromatherapy bath can be refreshing for your body and mind. Essentials oil are highly absorptive compound. You can enjoy the benefits of the healing effect by topical application. However, you’ll need to dilute the essential oil with a carrier oil before applying on your skin. Carrier oils do not evaporate easily. Some of the common carrier oils that are easy on your skin are coconut oil, sunflower oil, grape seed oil, jojoba oil, and avocado oil. To be safe, it’s always a good idea to rub some of the oil on your elbow to check for any potential allergies. You can also use essential oil for massage to soothe aching muscles and bring comfort to your mind. Similar to topical use, you should dilute the essential oil with a carrier oil before applying it on the specific parts of your body. Apply gentle pressure to the tired muscles and massage deeply. Both the stimulation of the muscle and the absorption of the essential oil in your bloodstream will be relaxing. Is Essential Oil Safe To Be Taken Orally? Some aromatherapists have suggested that essential oils are safe to be taken orally while others are cautious about such practice. Some brands would market their organic essential oils as safe for ingestion. So, should you take essential oil orally? The FDA has specifically drafted a list of essential oils that are considered generally recognized as safe. Here’s the link to the document. It makes sense that certain ingredients are tolerated by the body while others can cause serious side effects. If you plan to take essential oil orally, it is also prudent to consult your doctor before doing so. Essential oil, whether taken orally or applied through other means, may lead to side effects if exceeding the recommended dose. My personal take is to minimize the usage of essential oil by ingestion. Diffusing or using essential in your bath is much safer and no less beneficial. Always dilute the essential oil with a carrier oil when applying directly to your skin. Never use the essential oil on sensitive parts like eyes and ears. If you are using essential oil for a child, ensure that the dosage is reduced accordingly to their age. Never use undiluted essential oils on babies and toddlers. Avoid taking essential directly, unless being suggested by a physician. Essential oils are highly flammable. Do keep it away from cigarettes or candles. Ensure that you’re aware of the characteristics of the essential oil that you’re using. Some essential oils can be harmful to pregnant women. If you’re expecting, do consult your doctor before using essential oil. Certain individuals may display side effects when using essential oils. Discontinue use and alert your doctor if you’re experiencing rashes or sores on your skin. Check out this safety guide by the National Association for Holistic Aromatherapy for more details. Add a drop of essential oil with a half teaspoon of carrier oil. Rub the blend onto the inner part of your elbow. Wait for several hours and look for signs of rashes and itchiness. If there are rashes or itchiness, it shows your skin is sensitive to the particular essential oil. What this means is that you’re allergic to a specific type of essential oil. There are other types of essential oil that you may try for stress and anxiety. Besides that, you shouldn’t rule out using diffusing essential oil just because you suffer reactions on your skin. There’s a huge chance that you’ll find with aromatherapy. There are more than 100 types of essential oil used in the practice of aromatherapy. However, each carries different benefits and not all are effective for stress and anxiety. 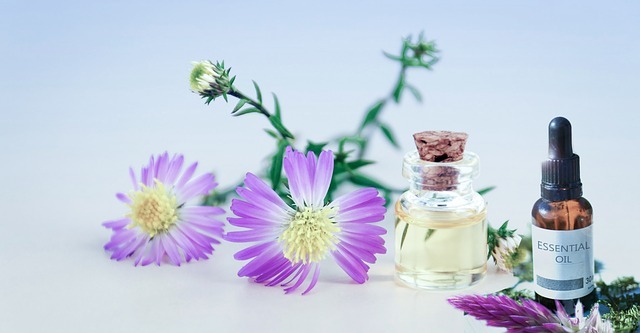 Couple with the fact that there may be as many manufacturers that are claiming superior products, choosing the right essential oil requires careful considerations. Here are some good points to take into account. While there are more than a handful of essential oils that helps with stress and anxiety, you may want to consider other benefits that are associated with the particular oil. Some individuals also have a preference for a particular scent over the others. Only choose essential oils that are undiluted and extracted via steam distillation. This ensures the therapeutic qualities are intact. As essential oils are a potent remedy, you’ll want to source essential oils from a manufacturer with a proven track record or exhibit the required standards in manufacturing and quality control. Factors like GMP-certified facilities and third-party lab testing are positive indications that the manufacturer is committed to quality. Single type essential oil gives you the purity of nature itself. However, essential oil blends when formulated by experts provide the synergistic effect that amplifies the total benefits of the various essential oil. Depending on your requirements, sometimes an essential oil blend is the better option and single types. ‘Therapeutic Grade Essential Oils’ – What Does It Mean? When browsing for essential oils, you may have come across the term ‘therapeutic grade essential oils’. It gives a perception of superior quality of the oil. As buyers, you should not be tricked into purchasing an essential oil just because the manufacturer claims it is of therapeutic grade. In reality, there are no organizations that govern the standards of essential oil. The term therapeutic grade is coined by the manufacturers often as a marketing gimmick. While it’s true that most reputable manufacturers test their essential oil for purity, using the term therapeutic can be misleading. Most manufacturers usually packed essential oils in dark glass bottles. This is to ensure the properties of the essential oil are not destroyed by heat or UV. When you’re not using the oil, store the bottles at places that are not exposed to sunlight. 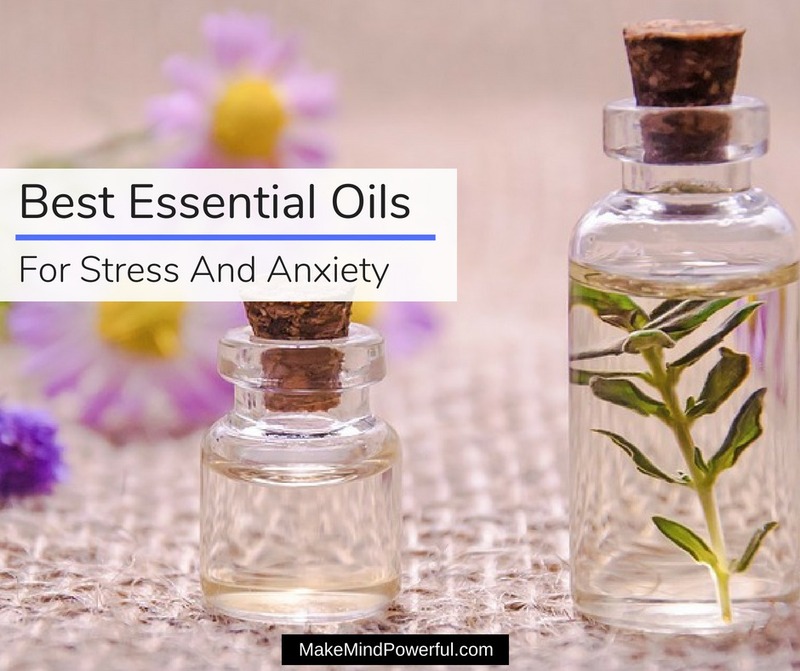 There are various options when it comes to buying essential oil to help ease your stress and anxiety. Most local wellness stores carry a great variety of essential oils. You can also buy essential oils from specialty aromatherapy stores. If you prefer to shop online, most major essential oils manufacturer sell essential oils on their website. You can also get essential oils from major retailers like Amazon. You’ll be spoilt for choice from the wide range of essential oil available. Regardless of where you choose to buy from, you’ll want to ensure that the vendor provides speedy delivery service, no-hassle return, and excellent customer service. It also helps if they have gained favorable reviews from hundreds of happy users. Important: If you’re suffering from any medical conditions, you’re advised to consult your doctor before using this essential oil. This article is not written by a medical professional, health expert or a doctor. Thus, it is not a substitute for medical diagnosis or treatment. With thousands of different types of essential oil available on both online and offline stores, searching for the best essential oils to reduce stress and anxiety can be a painstaking process. I’ve done a considerable comparison between the various types and brands and these are what I personally feel are the best. Lavender essential oil is known to be one of the best for stress relief and anxiety. Its sedative and the calming effect was first discovered over 2,5000 years ago and has been used for healing since then. Besides alleviating emotional stress, lavender is also known for its antibacterial property and helps promote skin health. Numerous studies have been conducted and lead to positive evidence on the benefits of lavender oil for stress and anxiety. One such study was conducted to compare the effectiveness of lavender against Lorazepam, a prescription medicine for anxiety. Unsurprisingly, the results show lavender as an effective alternative without the sedative and addictive effects of drugs. Stress, anxiety and post-partum depression are often associated with women who just gave birth to their child. A study conducted by researchers at the Isfahan University of Medical Sciences, Isfahan, Iran involving 140 women shows the link between lavender and the prevention of these emotional disorders. 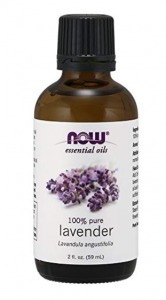 A pure bottle of lavender essential oil will have a refreshing floral scent that balances your mind. Besides promoting relaxation, the lavender essential oil has also shown promising qualities that may reduce diabetes in human beings. This is following a clinical trial that involves injecting lavender essential oils into rats. The benefits of lavender also extend to other parts of our health. This versatile essential oil is known to heal burns and cuts, improve cognitive functions, and a good natural remedy for insomnia. Having a bottle of lavender essential oil is handy when anxiety strikes. Chamomile is known to our ancient ancestors and has been used for thousands of years for its healing properties. It is known to have a calming effect and that is one of the main reason why chamomile tea is such a popular remedy today. An alternative yet equally effective method of benefiting from chamomile is through the essential oil extracted from its leaves. There are two common variants of the chamomile species; the German Chamomile and the Roman Chamomile. Of the two, the Roman Chamomile is more effective as an anxiety-relief remedy. The reason why chamomiles are such a potent remedy for stress and anxiety is due to its various terpenoids and flavonoids compounds. Early studies have pointed to the potential of chamomile in treating anxiety. A study that involves 57 patients diagnosed with general anxiety disorder shows a reduction in anxiolytic activities after prescribed with chamomile extract. Roman chamomile essential oil gives off a sweet apple-like scent that is similar to the aroma of chamomile tea. Diffusing chamomile essential oil in your bedroom helps to calm your mind from the racing thoughts and promotes a good night of sleep. The benefits of chamomile essential oil don’t stop here. It is also known for its antiseptic properties and is beneficial for skin diseases like acne and psoriasis. Chamomile oil is one of the milder essential oil around and can be used safely to calm children with ADHD. Also known as olibanum, Frankincense essential oil is extracted from the dried resin of Boswellia tree variants. Amongst the variants, Boswellia Serrata is commonly used for essential oil thanks to its anti-inflammatory, and cell-protection properties. Frankincense is popularly used in religious and cultural ceremonies in the east. The resin of the Boswellia tree was burnt as incense and it is reported that the scent brings tremendous relaxation to worshippers. Its mysterious healing properties were also recorded in the Old Testament. Modern researchers attempt to unravel the mystery of Frankincense. In one controlled experiment, it was found that incensole acetate, an active compound in Frankincense, activates the TRPV3, a protein in mammals that is associated with the feeling of warmth and thus deep relaxation. There are more reasons to use Frankincense essential oil other than relieving stress and anxiety. The combination of Frankincense and myrrh oil seems to have a positive effect in combating certain types of cancer cells, according to research by the Harbin Medical University-Daqing in China. 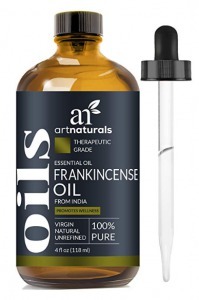 Other properties that made Frankincense one of the most sought-after essential oils are its ability to improve digestion, cognitive functions, regulate hormones and delay skin aging. The next time you’re troubled by worries, just add a few drops of Frankincense essential oil into a diffuser and enjoy the soothing effect. 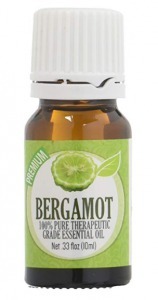 Bergamot essential oil is derived from the Citrus bergamia plant that bears citrus-like fruits. The oil is extracted from the peel of the fruit, usually through steam distillation or CO2 extraction process. Bergamot was historically linked to South East Asia, but the name was coined after the city of Bergamo in Italy where it was first sold. The essential oil extracted from the Bergamot provides sweet citrus like scent that helps individuals with depression, anxiety, and stress. A study conducted by the Srinakharinwirot University, Bangkok, shows the increase of gamma-aminobutyric acid (GABA), a neurotransmitter critical in alleviating anxiety in mice when Bergamot essential oil is applied. Another study that was conducted in a mental health treatment center in Utah further verified the positive effects of Bergamot essential oil for anxiety. A group of 57 participants was selected for the trial where they were exposed to Bergamot essential oil. Compared to a control group, those who are exposed to the oil reported a significant positive mood after 15 minutes. Depression is often mentioned with anxiety as one may lead to another. Bergamot is also proven to be one of the best essential oils for depression. Another study that involves 109 patients provides conclusive evidence that exposure to Bergamot essential oil results in a calmer mental state. Besides its superior mental healing properties, Bergamot essential oil is known to reduce blood pressure by regulating certain hormones in the body. If you’re attracted to natural citrus-like fragrance, bergamot essential oil is a great choice for a relaxing aromatherapy session. Ylang Ylang, or Cananga odorata, is the name of a species of a large tree that can be found in the tropical region of Indonesia and Philipines. The flowers that blossomed from the tree gave off a sweet aroma that made it a key ingredient in commercial fragrances. In recent years, more therapeutic benefits of the Ylang Ylang flower are discovered and that quickly made it a favorite for aromatherapist as an essential oil. Its mood-lifting ability is obvious when the deep floral scent of Ylang Ylang permeate the space in your home. People with anxiety and low self-esteem may benefit from Ylang Ylang as it was demonstrated in a study conducted by the Universidade de São Paulo, Brazil. A group of 34 professionals was given Ylang Ylang essential oil in different forms and reportedly shown improvements after a period of time. The potential of Ylang Ylang as a supplementary therapy for stress and anxiety was furthered strengthen by an experiment conducted on 40 participants in Thailand. After topical application of Ylang Ylang essential oil, the participants projects calmer behavioral state than a control group. 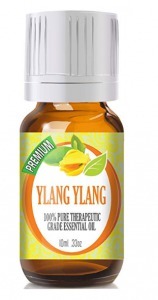 Besides the mood-boosting effect of Ylang Ylang, you can also use the essential oil to regulate blood pressure and promote cardiovascular health. It is also believed to increase libido should you find the need to turn on the heat on your date. Roses are undisputedly the symbol of romance. On Valentine’s and other romantic occasions, you’ll never go wrong with roses. Beyond the captivating sight of roses, they can be turned into essential oils that carry tremendous benefits. 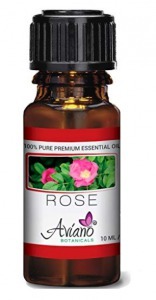 Rose essential oils are extracted from Damascus Rose by steam distilling the flowers. It has hundreds of active components that contribute greatly to an individual’s well-being. The essential oil extracted from the Damascus Rose has a strong floral aroma that matches its beauty. One of the benefits of the rose essential oil is the calming effect it has on an anxious mind. In clinical research conducted by the Srinakharinwirot University, Thailand, 40 participants were subjected to rose oil by transdermal absorption. The results show decreases in breathing rate and the participants reportedly feel more relaxed. While more studies on human needs to be conducted to affirm the positive effects of rose essential oil on the mental state of humans, those that are conducted has shown promising results. Besides emotional wellness, rose essential oil exhibits one of the strongest anti-bacterial properties amongst essential oils and is great for promoting skin health. To benefits from the therapeutic properties of rose essential oil, just add a few drops into a diffuser and let it disperse the droplets in your room. The floral fragrance not only lifts up your mood, it also creates a romantic atmosphere that is signature to roses. The name vetiver may not strike a familiar chord, but this plant that can grow up to five feet tall is known as the ‘tranquility oil’ in India and Sri Lanka. In fact, the oil has been used by the civilization in South Asia and Afrika for thousands of years. Its natural uplifting properties made it a popular remedy for stress and anxiety. There are over 100 components in vetiver that contribute to its therapeutic qualities. The oil that is extracted from vetiver has a brownish tint. As it evaporates into the air, you’ll get a smoky and sweet aroma. It is claimed that the fragrance gets richer as the vetiver ages. Fragrance aside, vetiver’s virtue is found in its active components. There are positive indications that vetiver essential oil can help to reduce stress and anxiety. In a clinical test conducted on Wistar rats, vetiver essential oil is shown to have the same anxiety-calming properties of diazepam, a drug commonly used for anxiety. 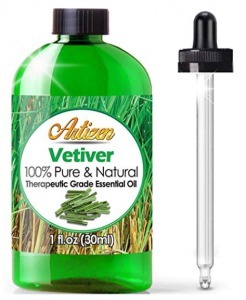 Vetiver also demonstrates other benefits when used as an essential oil. In another study, vetiver oil is shown to have a positive effect on cognitive functions such as improving learning and memory. Children with ADHD may also benefit from vetiver, as demonstrated in a comprehensive study by Dr. Terry Friedmann. It is easy to use vetiver oil at home, even if you don’t have a diffuser. You can add 10 drops of vetiver essential oil in bath water and enjoy a relaxing bath to soothe jumpy nerves. It also helps you to have a refreshing sleep when used before bedtime. Jasmine is a popular and easily recognizable flower. For centuries, the people of Asia have been using jasmine oil to promote emotional wellness. The jasmine flower is adopted as the national flower of Pakistan and widely regarded as a holy flower in India. The plant itself can grow up to 15 feet in height and with the white jasmine flowers blossoming during night time. Its strong fragrance has made jasmine oil a common ingredient in commercial and cosmetic products. The floral scent of jasmine is also known to boost libido and it is often used as a natural aphrodisiac. Romance aside, jasmine oil is highly effective in alleviating various form of mental disorders including anxiety, depression or general stress. A clinical study conducted by Dr.Arhanth Kumar and Dr. Shreevathsa has concluded that inhaling essential oil calms the mind of individuals suffering from general anxiety disorder. In another study, 31 people were exposed to jasmine essential oil in an experiment. The heartbeat rate of the individuals decreased to a relaxing frequency after undergoing aromatherapy with jasmine essential oil. Both of these studies solidify the claims and the practice of using jasmine oil to counter mental distress by the ancient communities. It is also relatively safe with little risk of side effects. You can insert a few drops of jasmine oil into a diffuser or mix with a carrier oil for self-massage. Lemongrass is a common grass-like plant that you’ll get in the tropical region. Thanks to its light lemony fragrance, it is a common feature in Thai dishes. A simple cup of lemongrass tea is all it takes to rejuvenate a tired mind and body. The secrets of the soothing effect of lemongrass lie in the active compounds of the plant. 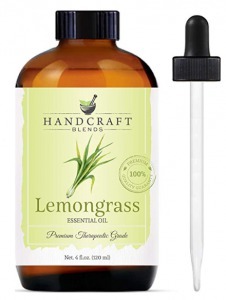 Not only does it exhibit anti-inflammatory and antiseptic properties, lemongrass also contains an abundance range of vitamins, including vitamin A, B1, B2, B3, B5, B6, and vitamin C.
Besides being a supplement of vitamins and minerals, lemongrass essential oil is also proven to be effective in relieving stress and anxiety. A study conducted by researchers in Brazil observed the anxiety level of 40 participants after being exposed to lemongrass essential oil. The result suggested that brief exposure to lemongrass scent helps to reduce anxious mental state. Another great reason to include lemongrass essential oil in your aromatherapy session is its potent anti-inflammatory property. A research further pointed out that the vapor state of lemongrass oil may be more effective than liquid when it comes to anti-inflammation. Lemongrass essential oil can be diffused for relaxation. Besides that, its fragrance also acts as a natural mosquito repellant. You can also add lemongrass oil into your bath. The lemon-like aroma will help to keep you refreshed and energized. Clary sage or ‘salvia sclarea’ is a herbal plant that grows in the northern Mediterranean. It is characterized by its thick hairy stems and graced with colors of vivid colors. It is highly used by alternative health practitioners to regulate hormones and reduce menstrual pain. Besides being a popular essential oil for women wellness, clary sage also helps to relieve stress. Its strong antidepressant property helps to lift an individual’s mood to a positive level. A study published in 2010 has shown that clary sage offers the strongest anti-depressant effect compared to chamomile, lavender, and rosemary. Another study that hints at the potency of clary sage for anxiety were conducted on animals. Pregnant animals that are given clary sage essential oil tend to display less anxious behaviors. While more extensive research is needed, clary sage is growing to be a popular essential oil for stress and anxiety. 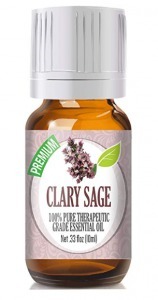 Clary sage is also known for its anti-bacterial property and it is great in protecting cuts from being infected. You can also use clary sage essential oil to care for your skin. It is rich in linalyl acetate, a natural plant chemical that stimulates the generation of protective oil on your skin. As a versatile essential oil, there are a few ways to use clary sage oil to support your wellness. Besides diffusing the oil, you can apply the clary sage oil topically by diluting it with a carrier oil. When applied to cramps or aching body area, you’ll find the needed relief as the oil is absorbed into your body. While there are a few essential oils that offer the overlapping property of relieving stress and anxiety, each oil may benefit other aspects of your health. In some cases, getting an essential oil blend may be the better option. Not only it is more economical, but the synergy of the different oil also enhances its individual healing properties. 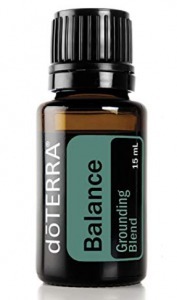 The Balance essential oil blend offered by doTERRA is a harmony combination of Frankincense, Blue Chamomile with spruce, ho wood, blue tansy with fractionated coconut oil as a carrier. They are synergized to maximize relaxation and helps to ease your mind from stress and worries. It has a dominant blue tansy scent that captivates your sense of smell. You can apply the blend at the bottom of your foot and let the harmonious combination of essential oil seeps into your body. It helps you to stay calm and relaxed throughout the day. Alternatively, placing a few drops into your favorite diffuser helps spread the essential oil droplets around your room. As you inhale the aromatic droplets, you’ll find that it actually helps to keep anxiety at bay. As this blend contains different types of essential oil, ensure that you test the oil for any sign of allergy before applying topically. Apply a drop of the oil on your elbow and wait for a few hours for signs of rashes or itchiness. While essential oils are great for dealing with stress and anxiety, they shouldn’t be the ONLY remedy at your disposal. This is especially true when you are trying to manage your anxiety. Whether it is the chemical imbalance in the brain or altered neural pathway, dealing with anxiety is about taking little steps at a time and with plenty of support. Besides essential oil, there are other remedies that may help you to calm your anxious mind. Sure, it is almost ridiculous to ask yourself to sit, close your eyes and breath when you’re extremely anxious. Yet mindfulness is a great practice that can train your mind to detach itself from the negative emotions that follow. The problem with learning mindfulness meditation is that individuals tried to practice on their own when they are anxious. It often backfired. A smarter way is to learn mindfulness meditation from an experienced teacher or use one of these meditation apps. But what’s more important is to keep it consistent. You can’t rewire your mind in days when your mind has been conditioned negatively for years or decades. What you put into your stomach and what you don’t will affect your mental health. For example, caffeine gives you the urgency to feel productive but it also causes mental stress. Instead, consume foods that are rich in omega-3, magnesium, L-tryptophan and other nutrients that are helpful in improving mental wellness. Here’s a mega list of foods that help anxiety and depression. If you’ve been following my blog, you would have realized that I’m a fan of hypnosis. Not the type of hypnosis you saw in movies or stage performance, but those that are used by therapists to treat individuals with anxiety. Hypnotherapy or hypnosis involves bringing forth your subconscious mind to suggest new habits and remove old ones that are non-supportive to your mental health. Whatever the causes of your anxiety are, it has caused your brain to alter its structure and thus, the pattern of your thoughts. By subjecting yourself to regular sessions of hypnotherapy, you are training your mind to respond to events, triggers and emotions differently. In science, it was called neuroplasticity, where the neural pathway of your brain would change after a prolonged period of the same action. When was the last time you hit the gym? It’s understandable that when you’re struck by anxiety or chronic stress, you wouldn’t feel like working out. It may seem counterintuitive but exercising is one of the best ways to feel good again. Working out not only helps you to improve your physical health, but it also increases the production of serotonin, dopamine, and endorphin. These brain chemicals are responsible for lifting your mood and provide you with the mental endurance to deal with stressors. Essential oils are one of the best remedies for relieving stress and anxiety when applied the right way. Read all the precautions and instructions that come with your bottle of essential oil. Sometimes, you may need to try a few types before finding one that suits you the best in terms of both aroma and effectiveness. 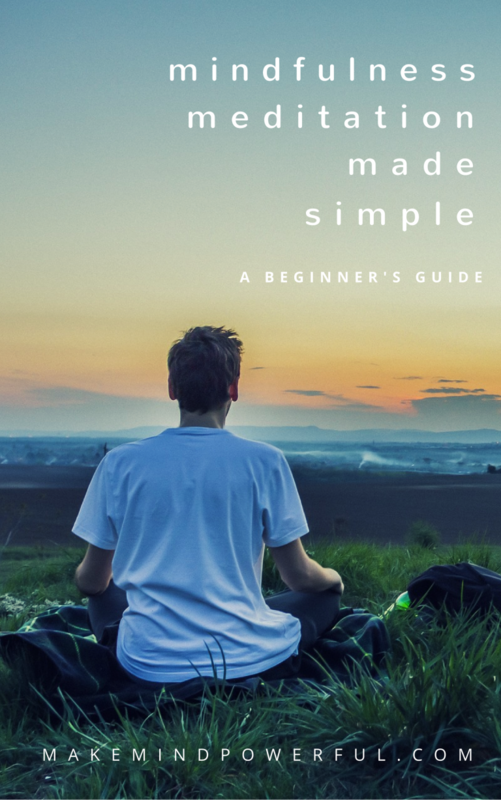 I hope that this comprehensive guide and list of the best essential oils for stress and anxiety relief have been helpful for you. Share your experience with essential oil in the comment below.